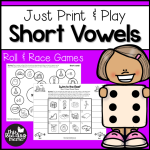 Low Prep Phonics Games - Just Print and Play! 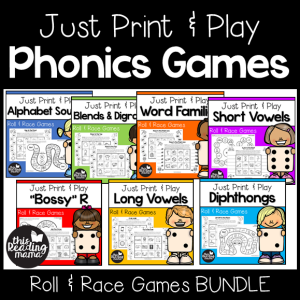 This MEGA Print and Play Phonics Games Bundle is NO PREP and covers phonics skills, from the ABC’s to diphthongs. 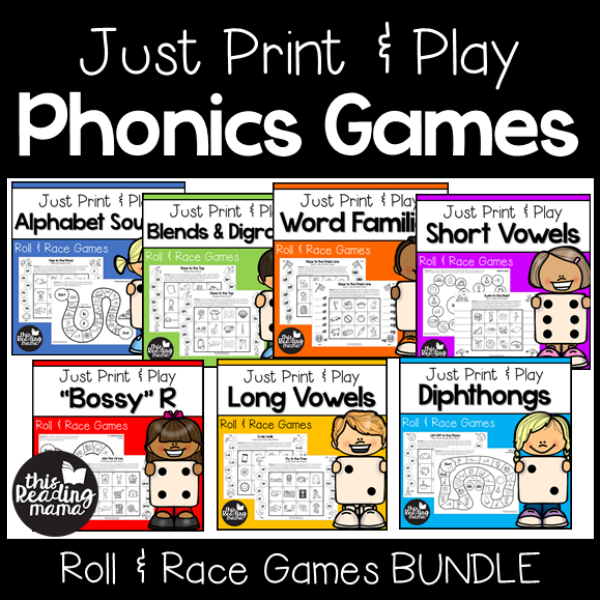 With this pack, you’ll have over 500 pages of phonics games at your fingertips that you can just print and play! 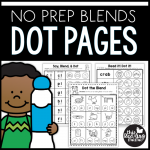 If you like hands-on games that you can just print and play, you’ll love these no prep phonics games. Because there are so many skills included, they make differentiation a BREEZE. 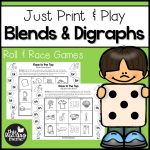 These roll and race games are perfect for small groups, independent work, student pairs, or at-home practice! The games are loosely based on our popular, low prep series called Print & Play. But they’ve been updated, changed, and added to A TON, which makes this bundle pack a great deal! 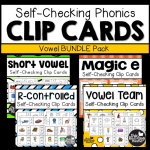 While you will be able to purchase each pack separately, the bundle pack has extra phonics games included that you can’t find anywhere else! *Can only be found in this bundle pack! You only need a die and small manipulatives to play the games and a pencil if you use the recording pages. 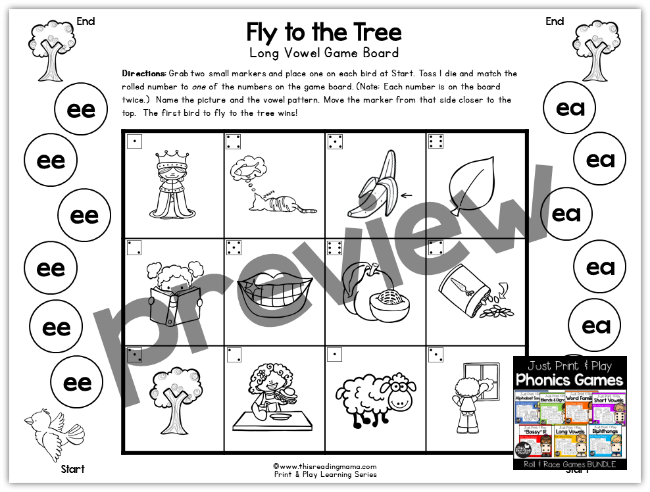 The recording pages help to extend the phonics games into spelling games, too! They also make a nice accountability piece if you’re using it as independent work. 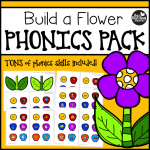 You can click on the image above or HERE to preview a game from each phonics pattern included in this pack. There are even a few bonus review games sprinkled in for some extra review, which will not be found in the individual packs. Or Purchase from Teachers Pay Teachers!